In this episode, business coach Mohnish Nair shares what it takes to become an achiever in Sales, Business & Life. A must see for introverts. Your family may not thank you for the vacations. But they will definitely curse you for the debts you leave behind! WORK MORE. PARTY LESS. 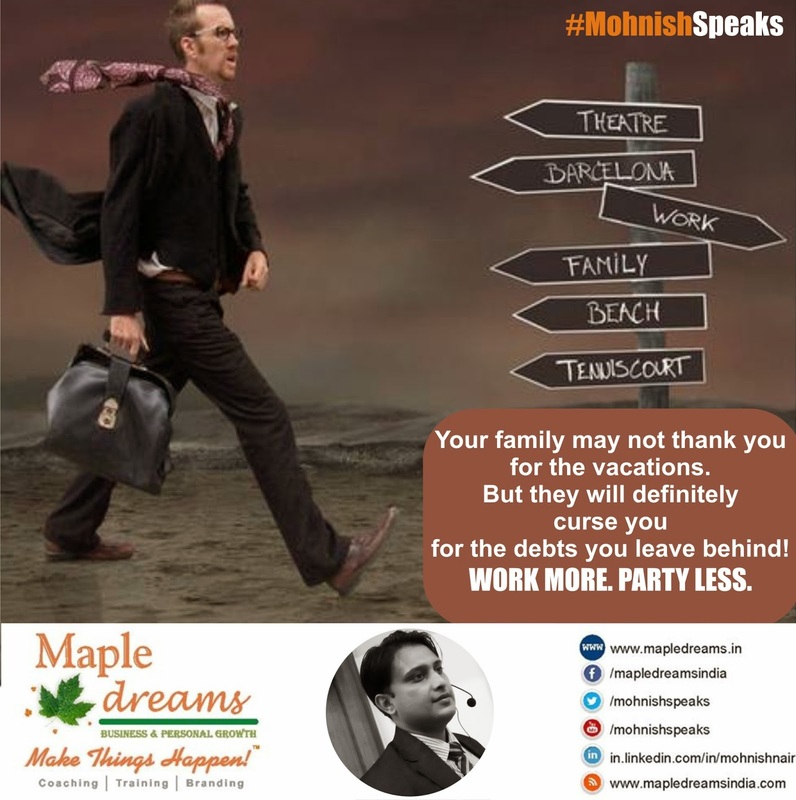 Your family may not thank you for the vacations. But they will definitely curse you for the debts you leave behind!